Chem2Clean Carpet Cleaners Dublin provides Carpet cleaning services in Dublin and surrounded areas to private customers and b2b customers. This Website may collect and process data that you provide to us about you, for example through filling out contact forms to request a quotation, and other information that we automatically collect from you using cookies. We use the contact form to get quotation requests/information from you, or other questions you might have if you don’t want to contact us by phone. We use your email and other information you type in the contact form to provide you with the answer or the quote. We don’t use this information for other purposes rather than reply to your email. We have a feature where you can signup for our newsletter to be alerted in case of new post articles and if we run a special offer/promo. We DO NOT disclose our subscribers’ list to any third parties. When you call Chem2clean by phone, you inquire about a service price or more information. If you book for a service we need to keep your phone number and address in order to go to your location and contact you when we are nearby. Once the job is done, we don’t use this data for other purposes. Unless you require our services on a monthly basis or similar, so we can keep in touch. This has to be approved by you. carpetcleanersdublin.ie contains links to many other websites. This Website does not endorse or favour any specific commercial product or business, except our business only. A link to a third-party website does not imply endorsement – you must use your own judgement to decide whether the information or service on that website is suitable for your needs. If a website is not linked to ours, this does not mean or imply that it is unsatisfactory. The linked websites are regularly reviewed in the light of customer usage and feedback. We embed external content from third-party websites such as YouTube. This content can be published from our YouTube Channel, as well as other channels not owned by us. It is delivered using devices and services provided by such third party sites that can be inserted into our site. In case of the content of third-party Youtube channels, We are not responsible for the quality or the content itself. Whilst we have made all reasonable efforts to display only appropriate YouTube videos through the embedded YouTube player, we are not responsible for any YouTube content accessed from our website. After a selected video clip plays, YouTube may suggest related videos, which can be played in the embedded video player. In virtually all cases, these will be directly related to the subject of the selected video. Occasionally, YouTube users may erroneously assign keywords to a video. It is, therefore, possible that an unrelated video could be displayed. Again, we are not responsible for this content. If you are concerned about this possibility, you should avoid viewing YouTube videos from the embedded player on this website. We collect information on how you use the site, through cookies. Again this process is standard in the World and common practice. 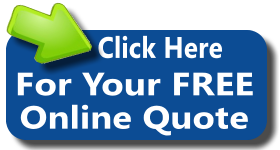 If you contact us for a quotation and then you don’t need us to do the job, we don’t keep your details. If you need us to do the job, we keep your details as long as it needs to be sure we reach you and we do the job. If you subscribe to our newsletter we keep your data as long as you are a subscriber. Once you unsubscribe you won’t be in our list anymore. We have a Digital Marketing Department who is looking after the health and performance of the website. So they are able to access to website data. Apart from that, we don’t share data with external parties. All of the above: Various duration: a mix of session and “permanent” cookies lasting 30 mins, 6 months, or 1-2 yrs. Anonymously tracks use of the website. These cookies are set or updated on any page visited. See here for full details. Several cookies are set but all serve the same purpose: to see how people reached the site and used it, including search terms used and referring sites. If you have any specific data protection queries or concerns, you can address it to us using the contact form.